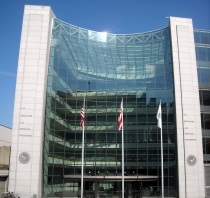 As it looks to boost the number of women and minority employees and partners, the Securities and Exchange Commission has brought on Renae Griffin & Associates. WASHINGTON: The Securities and Exchange Commission has hired Renae Griffin & Associates for communications consultation as it seeks to increase its number of women and minority employees and contractors. The office was created in 2011, but it recently conducted a search for a contractor to create a comprehensive marketing and communications strategy. Picked after an RFP, Renae Griffin & Associates will develop approaches that promote diversity initiatives internally and externally. There was no incumbent on the account. The firm's contract has one base year and two option years with a budget of $650,000, according to an award notice. The agency is performing similar work for the Federal Deposit Insurance Corporation, said Renae Griffin, its namesake and principal. Even in 2013, the need to be more organized when recruiting or developing women or minority talent is imperative, she said. “There is still the need to do this, when you look at the makeup of many corporations and many government agencies, a lot of them don't match the complexion of our country,” Griffin explained. An SEC representative confirmed the agency hire, but did not return additional requests seeking comment.